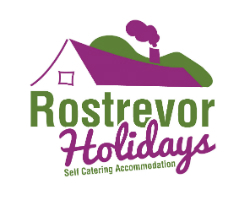 One of the original cottages at Rostrevor Holidays, Leckan Beg has remained one of our guests’ favourites. 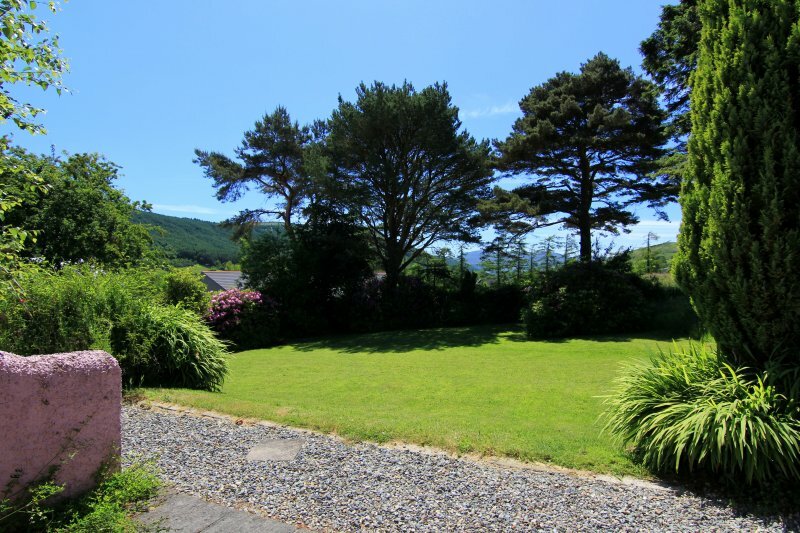 A cozy one bedroom cottage, a large window looks out over Kilbroney Valley, and across to the Mourne Mountains. 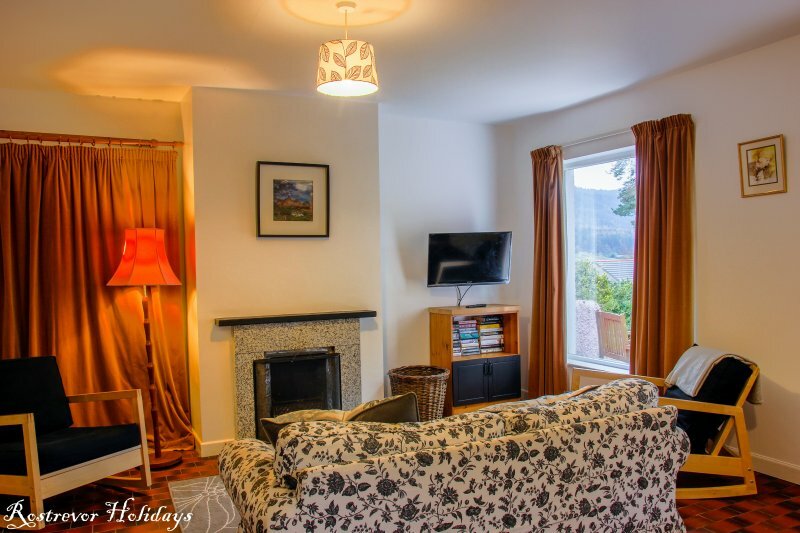 This little hideaway is ideal for relaxing in front of an open fire, or in the summer, sit out with your coffee in the morning time, and watch the sun rise along the valley. 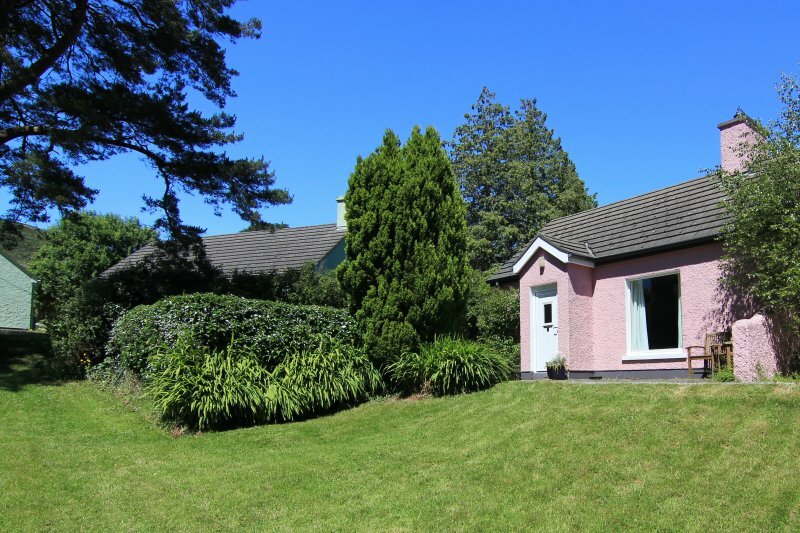 Ground floor – 1 double bedroom, with ensuite bathroom. Living room with open fire. Bed is made up, and towels are provided. 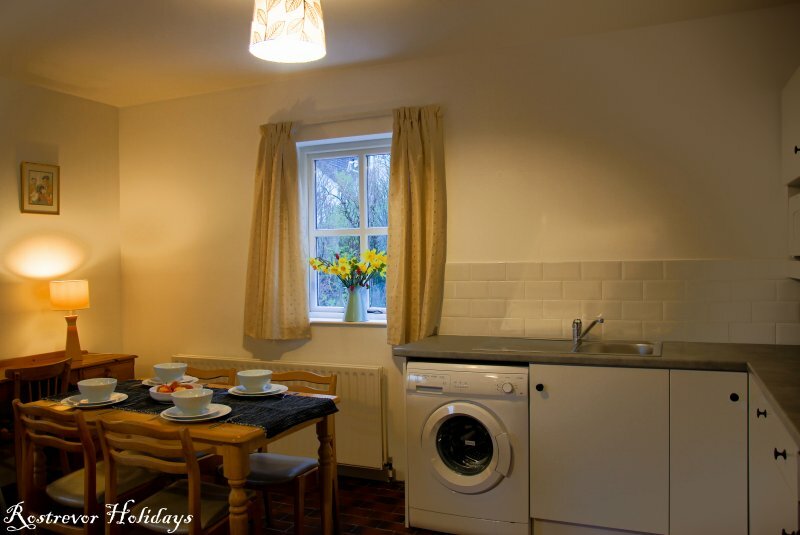 Kitchen is fully equipped, including oven and hob, microwave, dishwasher, and washing machine. Freeview 32″ TV. You can find further information on our F.A.Q page. 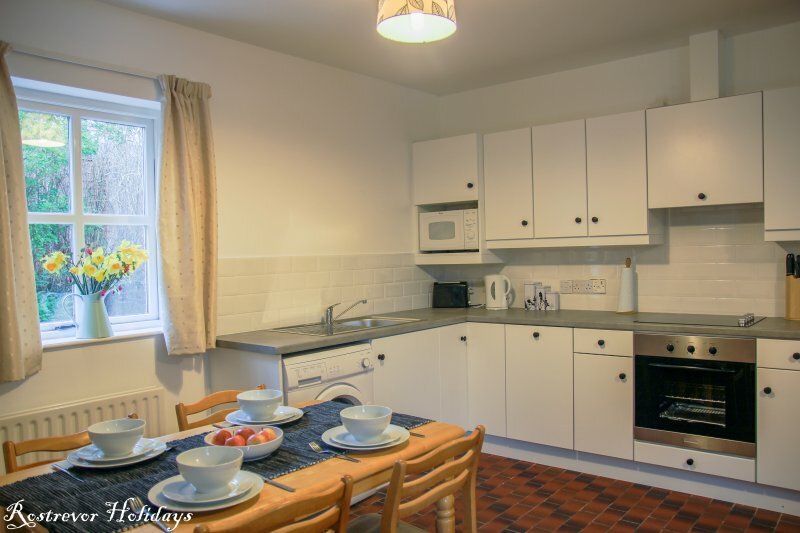 We have full-size wooden cots available for use, however in this cottage, due to space constraints, we would advise against using a cot, unless for a young baby. The house in on one floor with a step into it. Parking is directly outside the cottage, with gravel underfoot.